At a time when most marketers are turning to digital in increasing numbers, creating fun and interactive ads to engage consumers and drive sales, one company chose to go back to basics. Recently, one outdoor brand took to an age-old marketing channel with a disruptive approach – garnering attention while driving behavior change. Last week, L.L.Bean published a very sparse looking full-page ad in the New York Times that featured scattered text across the page. The ad read “Just bring this outside” along with the retailer’s new tagline, “Be an Outsider.” Once curious readers opened the ad outdoors, the page came to life revealing the company’s entire “Be an Outsider” manifesto. The ad was printed using photochromic ink, which is colorless indoors but becomes visible when exposed to ultraviolet light. 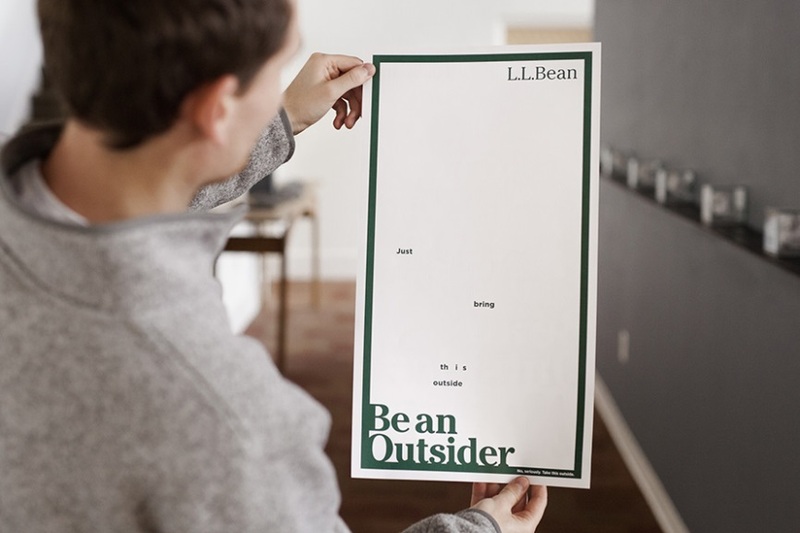 The manifesto itself serves as an invitation for everyone to join L.L.Bean outside, “because outside is where we all belong."